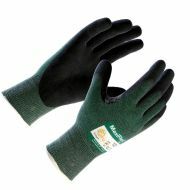 PIP MaxiFlex® Ultimate™ Seamless Knit Nylon/Lycra Glove, Nitrile Coated palm and fingers, 12 pairs/BX. 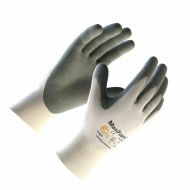 PIP MaxiFoam® 34-800 Premium Seamless Knit Nylon Glove, Gray Nitrile Coated palm and fingertips, 12 pairs/BX. 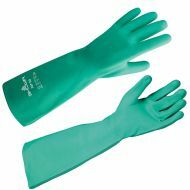 19" Double Dipped Light Green PVC Glove, 22 mil. thickness. 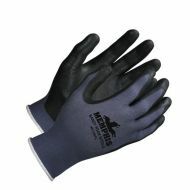 Nitrile foam dipped palm and fingers. 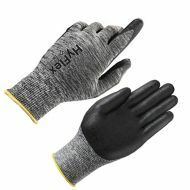 Knit Wrist. 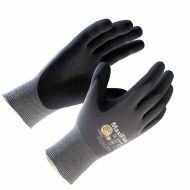 HyFlex® Nylon Glove, Black Foam Nitrile Coating, Knit Wrist Cuff.